Microsoft may release a new build soon to insider members. Windows 10 Redstone 2 build 14921 could be the next release too fast ring insiders. Meanwhile, Windows Insider team is now working on build 14922. 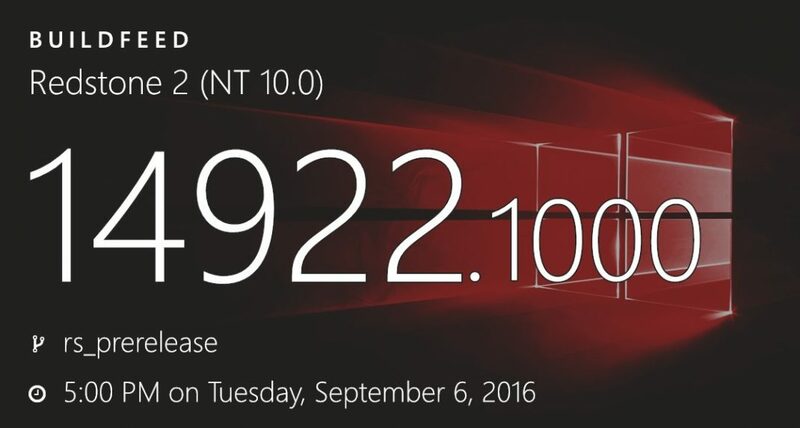 The latest Windows 10 build 14922 and mobile build 10.0.14922.1000 is now under internal testing. The current internal build is compiled on September 6, 2016.